African-Americans played an important part in the Civil War. From soldiers and laborers to nurses and spies, their presence had a significant impact on the outcome of the war. It is estimated that over 180,000 African-American men served as soldiers in the Civil War. These soldiers served in all black regiments that later came to be known as the United States Colored Troops. Surprisingly, African-Americans also joined the Confederacy, but their roles in the Confederate army were mostly confined to positions such as laborers, cooks and caretakers. According to an article in the Harvard Gazette, between 3,000 and 10,000 African-American men fought as soldiers for the Confederacy and between 20,000 and 50,000 served as laborers. The article states the motivation for these men to serve in the Confederate army is unknown but they may have been slaves forced to do so by their masters. Despite their loyalty and sacrifice, African-American soldiers in the Union army were not paid as well as white soldiers, earning just seven dollars a month while white soldiers earned 13 dollars a month. Many of these soldiers protested their low pay by refusing to accept any wages until they were awarded the same wages as white soldiers. This unequal pay angered many people, such as Harriet Tubman, who refused to meet Abraham Lincoln out of protest. Eventually African American soldiers were awarded equal pay in March of 1865. The battlefield was a dangerous place for all soldiers, but especially Union African American soldiers. Black soldiers captured by the Confederates were usually sold into slavery, but were sometimes slaughtered instead, such as in the Fort Pillow Massacre, where hundreds of African-American troops were believed to have been killed after the battle ended. The presence of African-Americans in the Civil War helped shaped many new laws, such as the Lieber Code of 1863, which was designed to protect captured African Americans soldiers from being sold into slavery, as well as laws like the Emancipation Proclamation, a military order freeing slaves in seceded states not already under Union control and allowing them to join the Union army. The Emancipation Proclamation then paved the way for the 13th Amendment in 1865, which abolished slavery in the United States. 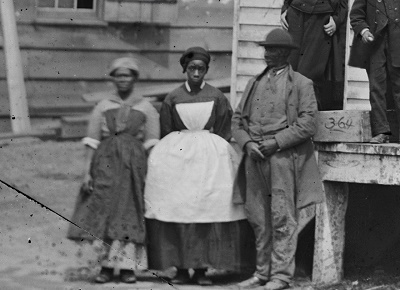 African-American women, as well as some men, often worked as nurses, cooks and laundry workers in both Union and Confederate hospitals during the war. According to the Women in Military Service For America Memorial Foundation website, around 181 African-American nurses served in military hospitals in Maryland, Virginia and North Carolina during the war. One such famous nurse was Harriet Tubman, who served in numerous military hospital before she was eventually appointed matron of the Colored Hospital at Fort Monroe in Virginia in 1865. A number of African-American men even worked as army surgeons, according to the U.S. National Library of Medicine website, but they were confined to military hospitals or recruiting stations because white surgeons refused to work alongside them in the field. Some African-Americans also served as spies in the Civil War, disguising themselves as slaves or laborers and eavesdropping on conversations or stealing glances at military documents and papers in the homes they worked in. Others were runway slaves or slaves freed by Union forces, who were interviewed about any information they had on the Confederate troops in the area. The CIA website states that information gathered by African-American spies were referred to as “black dispatches.” Some of these African-American spies include Mary Elizabeth Bowser, John Scobell and Mary Touvestre. It is not known exactly how many African-Americans served as spies since the Union army often destroyed records and documents about them in order to protect their identity. Long after the Civil War ended, Allan Pinkerton, Head of the Union Intelligence Service, talked openly about recruiting African-American spies in his book The Spy of the Rebellion: Being a True History of the Spy System published in 1883. 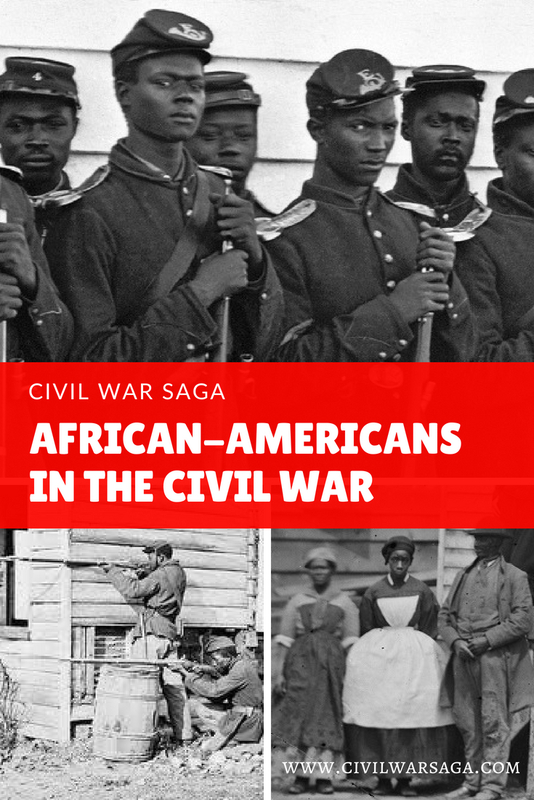 These are just some of the many ways African-Americans took part in the Civil War and helped shape the future of the United States forever. Although African-Americans made many accomplishments as well as sacrifices during the Civil War, their roles in society after the war ended were just as complex as they struggled to find acceptance, employment and opportunities in post-war America.